Most people in the United States today no longer live their lives under the guidance of local institutionalized religious leadership, such as rabbis, ministers, and priests; rather, liberals and conservatives alike have taken charge of their own religious or spiritual practices. 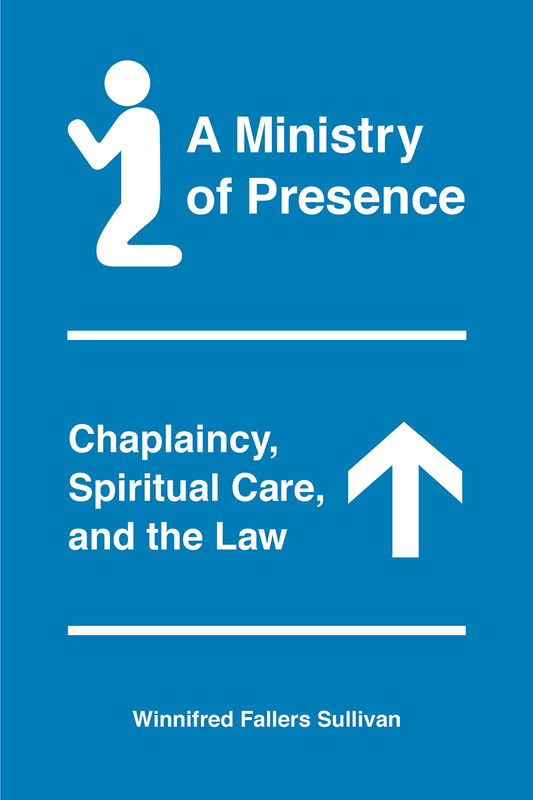 This shift, along with other social and cultural changes, has opened up a perhaps surprising space for chaplains—spiritual professionals who usually work with the endorsement of a religious community but do that work away from its immediate hierarchy, ministering in a secular institution, such as a prison, the military, or an airport, to an ever-changing group of clients of widely varying faiths and beliefs. In A Ministry of Presence, Winnifred Fallers Sullivan explores how chaplaincy works in the United States—and in particular how it sits uneasily at the intersection of law and religion, spiritual care, and government regulation. Responsible for ministering to the wandering souls of the globalized economy, the chaplain works with a clientele often unmarked by a specific religious identity, and does so on behalf of a secular institution, like a hospital. Sullivan’s examination of the sometimes heroic but often deeply ambiguous work yields fascinating insights into contemporary spiritual life, the politics of religious freedom, and the never-ending negotiation of religion’s place in American institutional life. "Thought-provoking. . . . Contemporary chaplaincy programs demonstrate that practices termed 'spiritual' are not unique to the political left or right, and chaplains from a wide variety of institutional backgrounds are grappling with how to provide this 'spiritual care.' A Ministry of Presence makes clear that this grappling has a particular history, and in so doing makes a valuable contribution to the study of American religion." "An important contribution to ongoing scholarly discussions in religious studies, American history, politics, and legal studies. . . . Sullivan has contributed much to our understanding of the many ways religion continues to influence ‘secular’ legal trajectories, and vice versa." "Winnifred Sullivan’s study is an important read, one not to be missed by anyone who wishes to understand the reality of chaplaincy in the modern world."